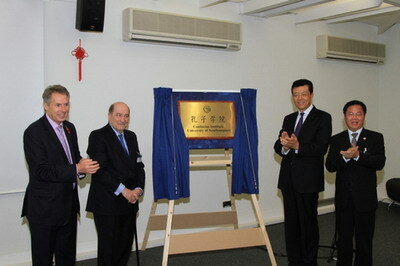 On October 31, 2011, an inauguration ceremony for the Confucius Institute was held at the University of Southampton. 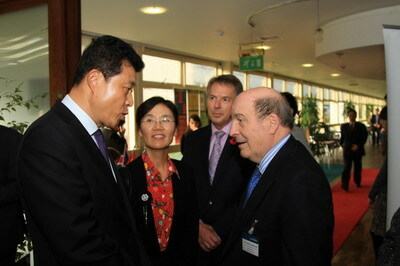 Chinese Ambassador Liu Xiaoming and Madame Hu Pinghua attended the ceremony. 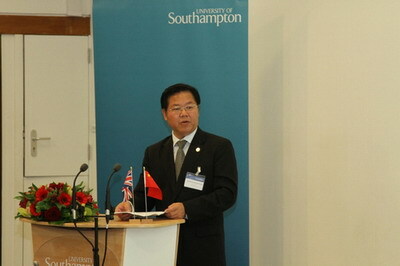 Over a hundred guests attended the ceremony, including Professor Don Nutbeam, Vice-Chancellor of the University of Southampton, Mr. Terry Matthews, Mayor of Southampton, Sir Leonard Appleyard, former British Ambassador to China, Mr. Zhu Chongshi, President of Xiamen University, Mr. Tian Xiaogang, Minister-Counsellor of the Education Section of the Chinese Embassy, the directors of some Confucius Institutes in the UK and the heads of faculties and departments of the University of Southampton. Ambassador Liu Xiaoming delivered a speech at the ceremony. He extended the warmest congratulations to the University of Southampton and Xiamen University and wished the two sides a most productive partnership. The Ambassador hopes that the Confucius Institute will tailor their teaching methods to individual needs and encourage students' interest in learning mandarin; that the Confucius Institute will not only teach Mandarin, but also introduce to students the Chinese culture and philosophy and will create a bridge that encourages communication and understanding in the University of Southampton and far beyond; and that the teachers of the Confucius Institute will do an excellent job to teach Mandarin and promote Chinese culture, act as ambassadors of friendship, gain understanding and support for China's aspirations for a better future and build understanding of China's commitment to peaceful development, so that the China-UK friendship will flourish. 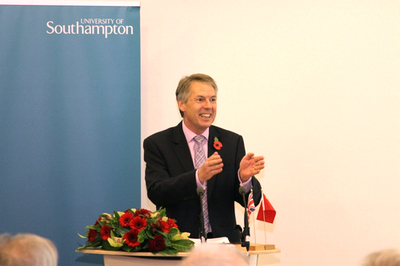 Vice-Chancellor Don Nutbeam said in his speech that the University of Southampton will work with Xiamen University to build the Confucius Institute into a platform for learning Mandarin and the Chinese culture in the University of Southampton and in southern England and into a leader in the study of contemporary China in the UK. 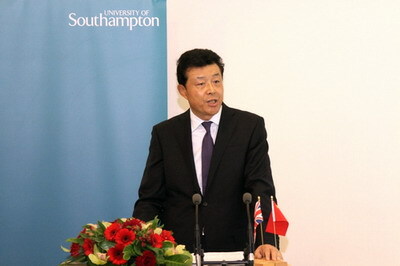 Mr. Zhu Chongshi, President of Xiamen University, said that Xiamen University will work with the University of Southampton to develop the Confucius Institute at the University of Southampton into a forum to promote mandarin, a platform for disseminating the Chinese culture and a bridge for the China-UK friendship. Sir Leonard Appleyard reviewed the development and changes in China with his personal experience and expressed full recognition and admiration to the great achievements of China since its reform and opening up. He hopes that the UK and China will take the Confucius Institutes as a platform to constantly deepen their cultural exchanges and cooperation. After that, Ambassador Liu, Sir Appleyard, Professor Don Nutbeam and President Zhu Chongshi inaugurated the Confucius Institute together. Ambassador Liu and Madame Hu also visited the University of Southampton and held a meeting with Vice-Chancellor Don Nutbeam. 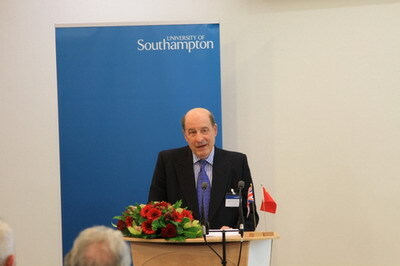 Ambassador Liu listened to Professor Don Nutbeam's introduction on the development of the University of Southampton and its cooperation with China and recognized the University's efforts in the study of the contemporary China and the cooperation and exchanges with China. The Ambassador hopes that the two sides will further intensify the exchanges of students and teachers and will enhance and expand the bilateral cooperation and exchanges in education and scientific researches. The Chinese Embassy is ready to make continuous efforts to this end. As a Russell Group research university, the University of Southampton has produced a number of top talents and world-renowned scholars. It has built inter-school partnership with Peking University, Zhejiang University, Xiamen University and Nanjing University. The Confucius Institute at the University of Southampton is the 15th Confucius Institute inaugurated in the UK following the Confucius Institute at the University of Glasgow.